Plantar fasciitis is where you have pain on the bottom of your foot, around your heel and arch. You can usually ease the pain yourself. But see a GP if the pain does not improve within 2 weeks. Your GP might refer you to a physiotherapist for exercises or to see a foot specialist (podiatrist), who can recommend things like insoles and the right shoes to wear. Physiotherapy and podiatry may not be available for free on the NHS everywhere and waiting times can be long. You can also pay to see a podiatrist or physiotherapist privately. 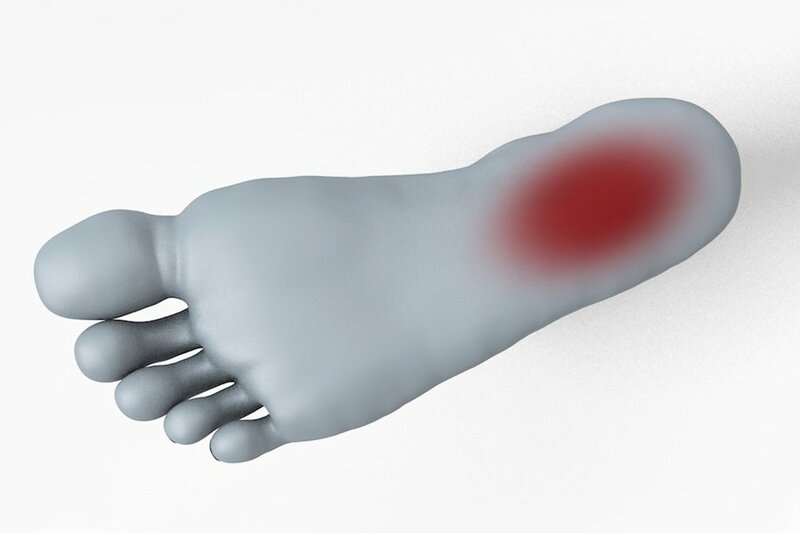 Plantar fasciitis is caused by straining the part of your foot that connects your heel bone to your toes (plantar fascia). It's not always clear why this happens.